Football, music, dance, film! At the very National Day of Sweden, we give you an extraordinary music and sports experience! Long term sick children, their families and schoolclasses, have created lyrics and music for a footballmusical. This material has been interpreted by writer Peter Kihlgård and quite a few Umeå artists. 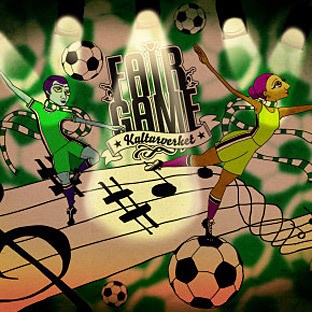 The football musical Fair Game will be performed by professional musicians, dancers, actors and of course football players. Fair Game is a charity project. All that we make from tickets and donations will go to the Childhood Cancer Foundation, and the project of a new family hotel in close connection to Umeå University Hospital.